The Federal Renewable Fuel Standard, or RFS2, creates incentives for fuel companies to diversify their offerings beyond petroleum-based fuels. This reduces greenhouse gas emissions, lays the foundation of a renewable fuel sector in the United States, and reduces imported petroleum. The RFS requires the blending of certain volumes of biofuels from 2008-2022. As set by the EPA, the use of food-based fuels, like corn ethanol, reaches its peak by 2015, but more advanced non-food based fuels continue to increase through 2022. These incentives spur investment into new fuels: one of the most innovative sectors of our economy, which creates new jobs, reduces pollution and ultimately pushes down costs for drivers. 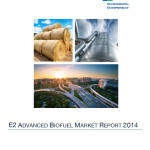 The RFS2 has been the biggest driver of investments into the renewable fuel sector, and many new biorefineries are beginning production in 2013 as a result. E2 supports the RFS because the sustainability metrics included in the program help provide energy solutions while protecting our air, water and soil. 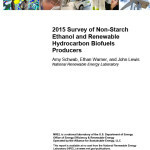 Advanced biofuels production capacity increased from 437 million gallons in 2011 to more than 685 million gallons in 2012, an E2 study has found. 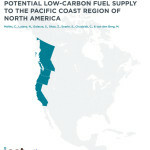 By 2015, the biofuel industry has the potential to produce 1.6 billion to 2.6 billion gallons of renewable fuel and create up to 48,000 new jobs if state and the federal clean fuel laws are implemented as planned. 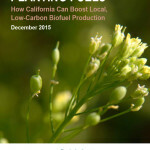 Regulations like California’s Low Carbon Fuel Standard, under AB 32, encourage innovation in advanced biofuels and continual reduction of carbon emissions. Although the RFS lays a basic foundation for renewable fuel production, the LCFS further promotes greater innovation of biofuels. 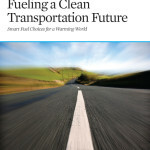 The LCFS sets a target to decrease the carbon-intensity of the state’s transportation fuels, on average, by 10% by 2020. Nearly any technologies that can reduce fuel emissions can be credited, including blending advanced biofuels with petroleum, increasing electric transportation, natural gas, or reducing production emissions from petroleum-based gasoline and diesel. 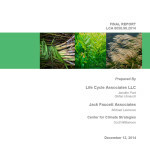 Under the LCFS, the lifecycle analysis of all fuels is translated into a carbon- intensity score. The use of a gallon of cellulosic ethanol results in nearly five times the GHG emission reductions of corn ethanol. The LCFS thereby incents the procurement of the lowest carbon-intensity biofuels first, based on their carbon-intensity score. 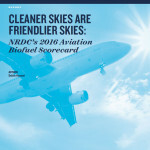 Oregon followed California in its implementation of a clean fuel standard with the Clean Fuels Program. Legislation was passed in March 2015 to ensure continuation of the program, and participation in the program began in January of 2016. 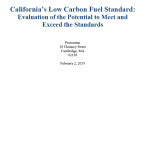 Similarly to the LCFS, Oregon’s standard requires a reduction in the carbon intensity of fuels of 10% over ten years, which can be achieved through the use of ethanol, biodiesel, natural gas, biogas, electricity, propane and hydrogen.